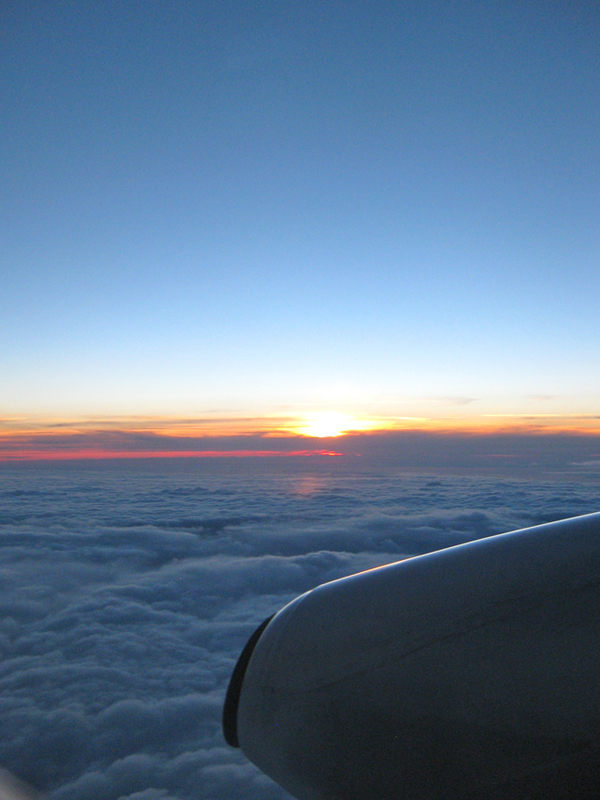 I prefer to fly at once to my destination. Only Estonian Air offers a cheaper flight to St. Petersburg and a possibility to visit the city of Tallinn for a few hours. 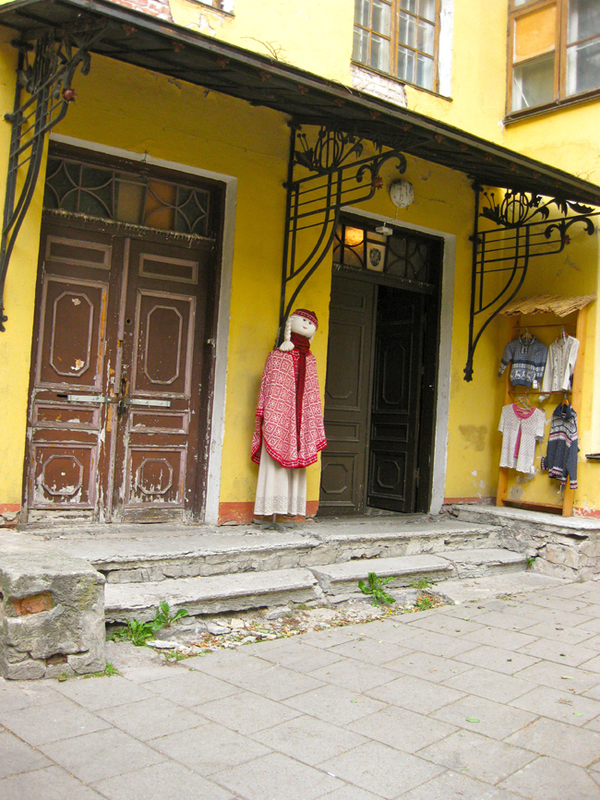 Because I have never been to the Baltic states before, I could not refuse such travel idea. 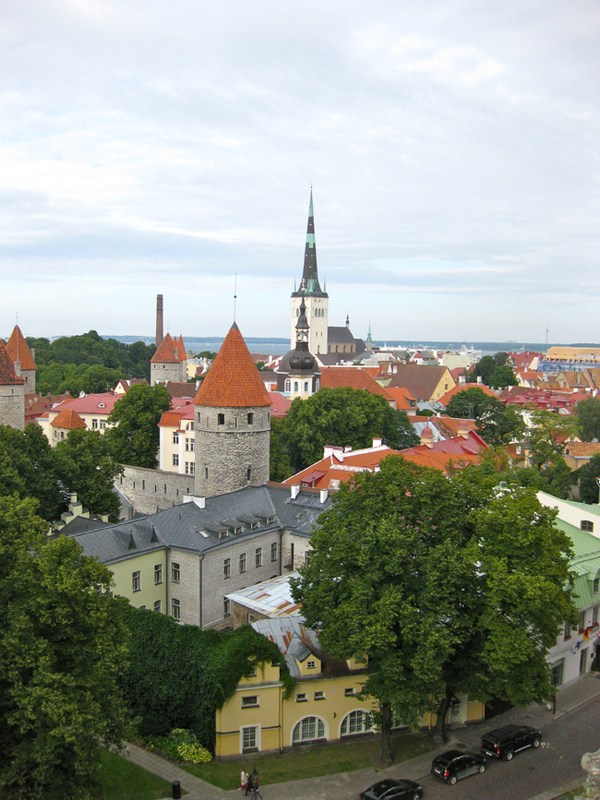 The flight from Amsterdam to Tallinn takes 2 hours and 20 minutes. 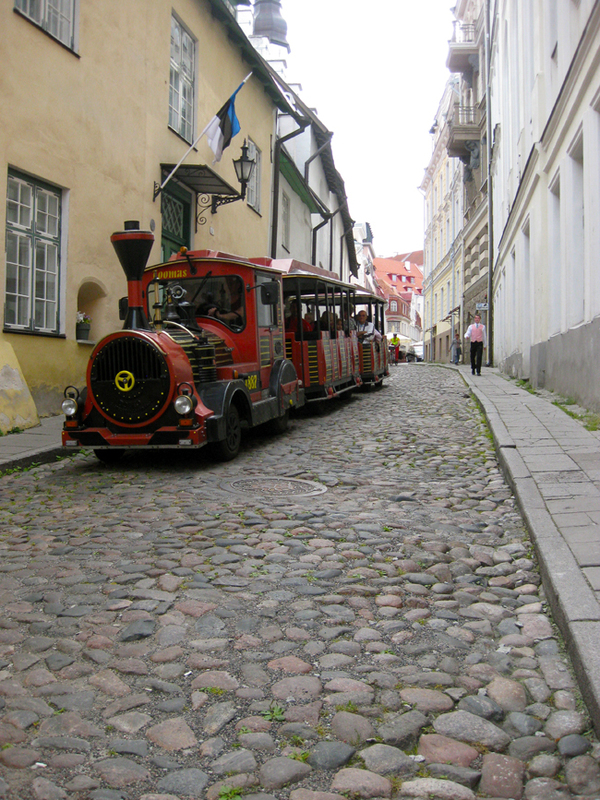 Tallinn airport is relatively small and the city centre is only fifteen minutes by taxi. 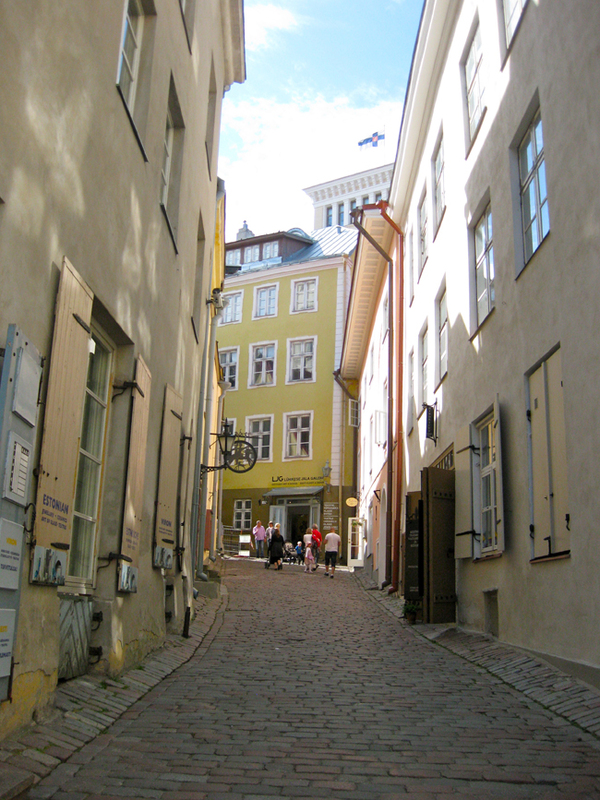 When the luggage was checked through to St. Petersburg, we left the hand luggage in the lockers and took a taxi to the centre of Tallinn. 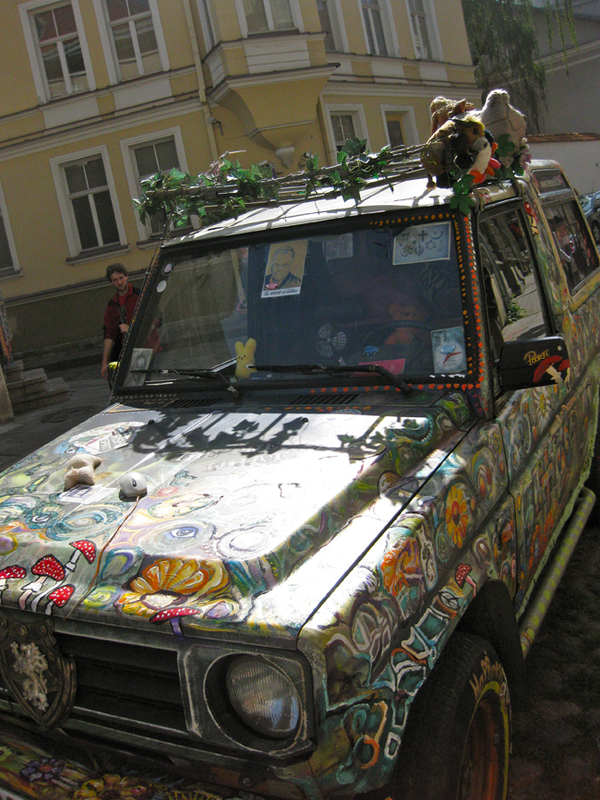 Taxi costs only 10 euros, which is not expensive, especially when you go with more people. We had 7 hours until the next flight which was plenty for the exploration. 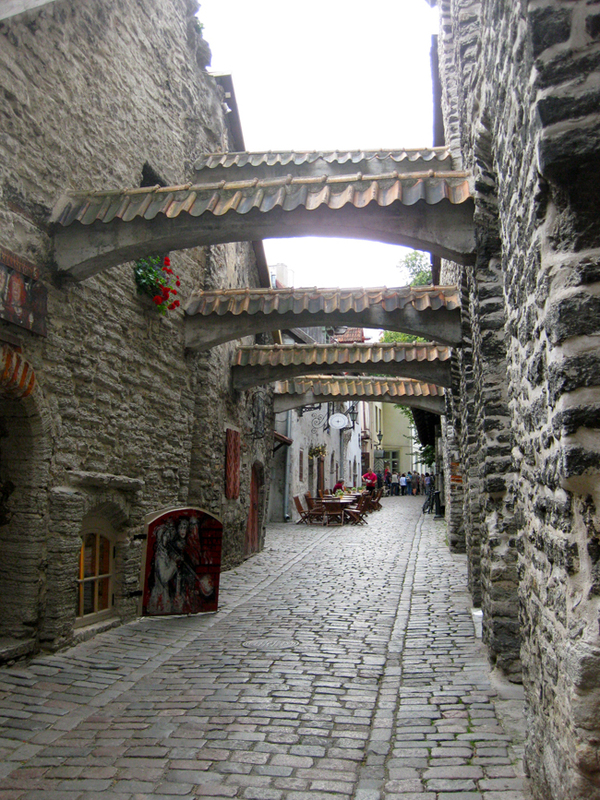 The old town of Tallinn is compact and adorable. It is not necessary to be prepared here, just to stroll around is fun too. Nice cafes are everywhere, so you will not have any hunger or thirst. 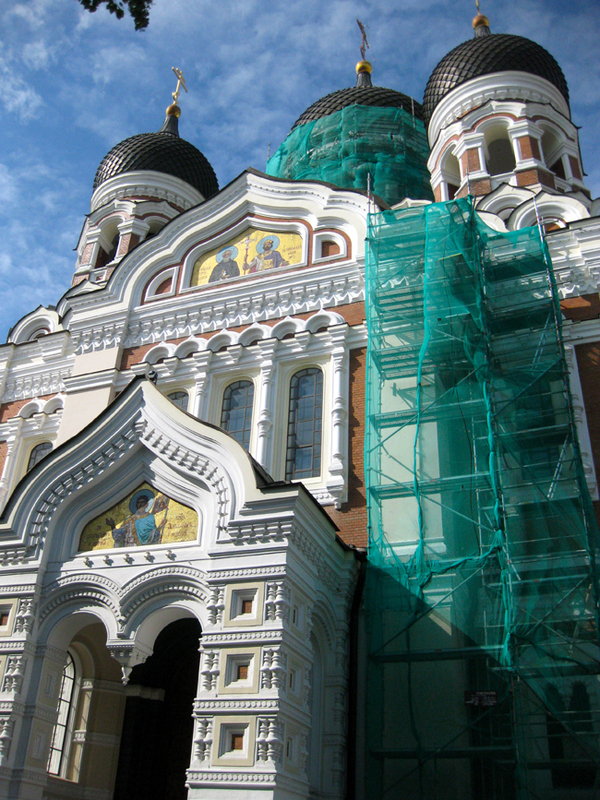 On the hill is one of the famous sights of Tallinn, the Russian Orthodox Church together with a panorama view point. If you wonder whether it makes sense to climb up, then it's absolutely worthwhile to do so. 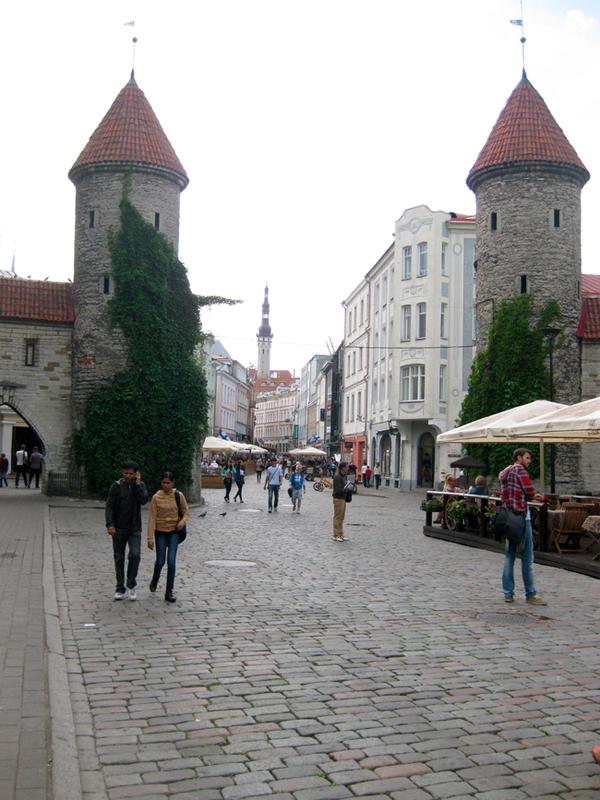 Those few hours I had spend in Tallinn gave me a clear picture of the city. I was very glad to have seen the place. And I was even happier to go to Russia’s St. Petersburg after. At the airport it seemed like our flight was the only one that night. A very few people were still around. And indeed al of them went to St. Petersburg aswell. The duration of that flight was only 1 hour and 10 minutes. 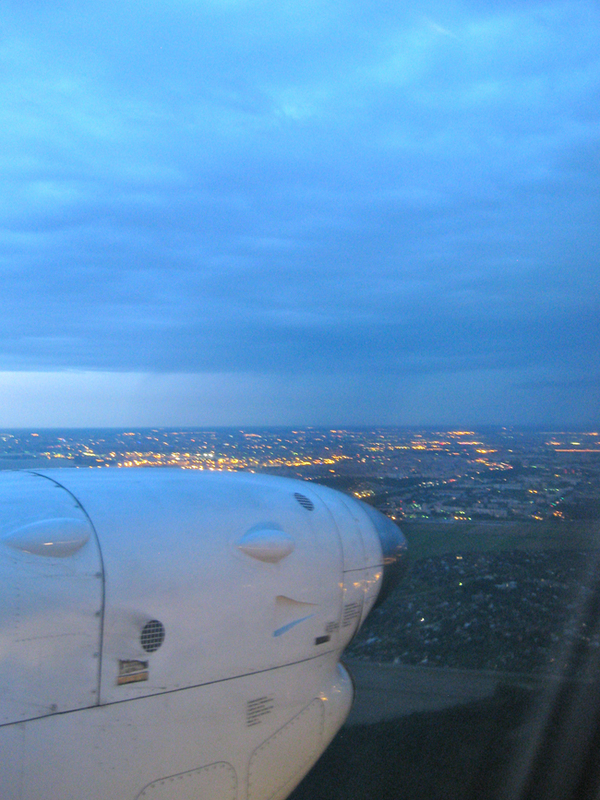 During the landing I saw a piece of the illuminated city. The passport control in St. Petersburg took a very long time. Although the bus to downtown was fortunately still there. You can always take a taxi, but public transport is ofcouse the cheapest way to get in the centre. K900 is a bus that goes to the metro Vladimirskaya, which is 10 minutes away from Nevski Prospekt. That's where our hotel was. Hotel was fairly easy to find thanks to the explanation I received via email. It was already quite late, but I had friends in town waiting for us to have a drink until deep into the night. Even at night St. Petersburg looked gorgeous. Some call it the city 'Venice of the north' or 'Amsterdam of the east'. To be honest I did not see those comparisons. St. Petersburg is a emblematic city like no other one.